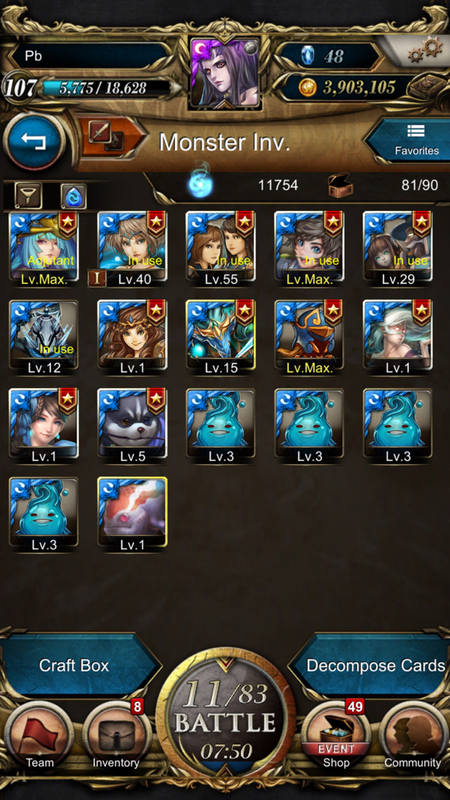 Returning player; what should I build on first? 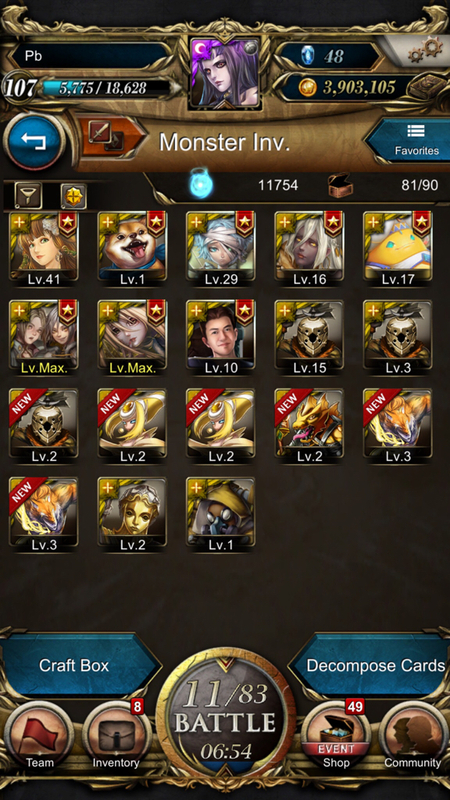 » Returning player; what should I build on first? Hello! I hope someone can provide me some guidance of what’s my “best” team with the cards I have now. & is it worth to spend 50 diamonds to get those ancient coins? Thanks in advance! Just use matthew as leader and slot any lvl max members into the team. 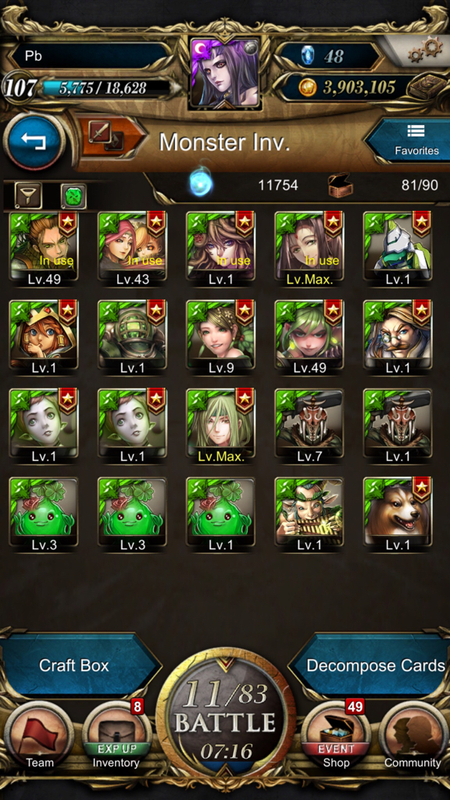 At your point of progress, absolute goal should be to farm xp materials/evolve materials while managing stamina to be able to continously level in levelling stage that is available until lvl150 which will also net you soulstones on each run. With your current team cost limit, at your level, you aren't even probably able to make a full team. After that you will get a choice of an all max greek god. 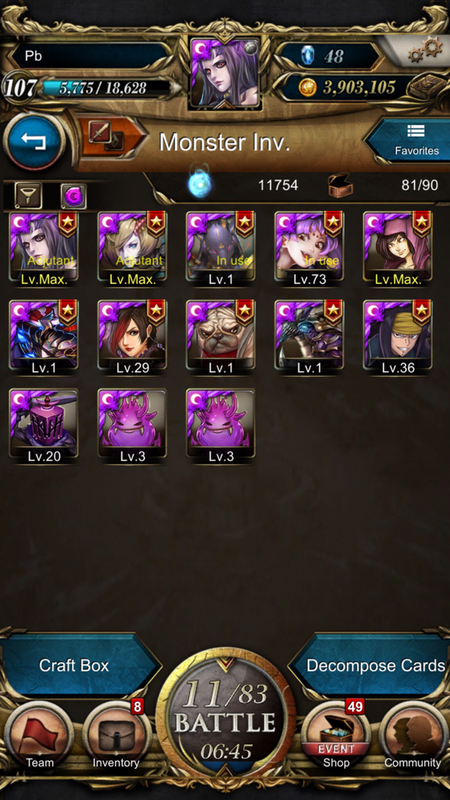 Did you get the all max draw from Jan 27th? 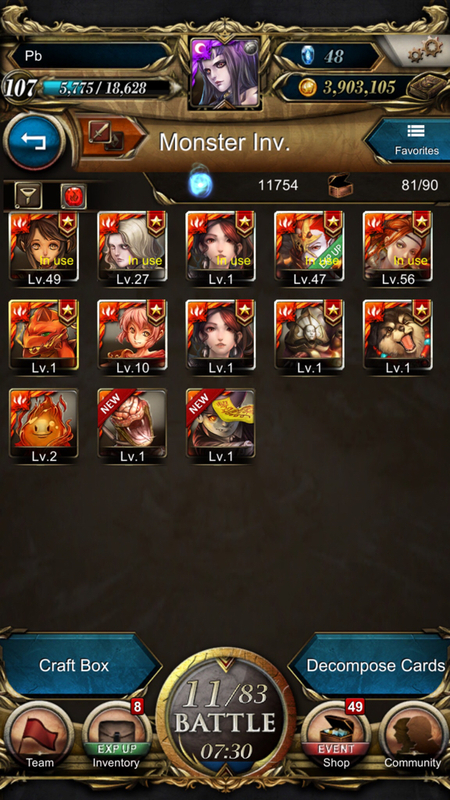 Also login every day to get 10 free draws, now there is 8 more left afaik. And by the end of month there will be a 2nd all max random draw which will probably give you a nice leader. Don't do any pulls unless you have enough stones for the guaranteed jackpot. It's also much easier to get good cards on a rate-up day from something like a collab. Madhead hinted that the Jojo collab and Dragon Ball collab are coming soon, so don't pull until then.